According to two new studies recently published in JAMA Oncology, a shorter course of breast radiation therapy at higher doses produces less toxic effects than a longer course of radiation therapy at lower doses. The first study was led by Dr. Simona Shaitelman, of the MD Anderson Cancer Center at the University of Texas. Researchers analyzed the data of 287 women who were aged 40 and older. Participants had been diagnosed with early-stage breast cancer and had previously undergone breast-conserving surgery. Of the 287 patients, 149 received conventionally fractionated whole-breast irradiation (CF-WBI) and 138 patients received hypofractionated whole-breast irradiation (HF-WBI). CF-WBI is the most common type of whole breast radiation administered to breast cancer patients in the U.S. and involves smaller radiation doses over a longer period of time. HF-WBI is just as effective, but involves higher radiation doses over a shorter period of time. For six months, the team analyzed the toxic effects each treatment caused and how it impacted each patient’s short-term and long-term quality of life. Researchers discovered that patients who received HF-WBI experienced lower incidences of acute dermatitis, severe itching, breast pain, hyperpigmentation, and fatigue compared to those who were given CF-WBI. The second study was led by Dr. Reshma Jagsi, of the University of Michigan-Ann Arbor. Dr. Jagsi and his team analyzed data of 2,309 women who received breast radiation therapy after enduring breast-conserving surgery. Of the 2,309 patients, 570 received HF-WBI and 1,731 received CF-WBI. The researchers discovered that patients who were given CF-WBI had higher incidences of skin reactions, fatigue, and breast pain compared to patients who received HF-WBI. According to study results, CF-WBI patients also experienced greater burning, stinging, and swelling. Study authors further conclude that both studies demonstrate lower rates of early toxicities with HF-WBI compared to CF-WBI. 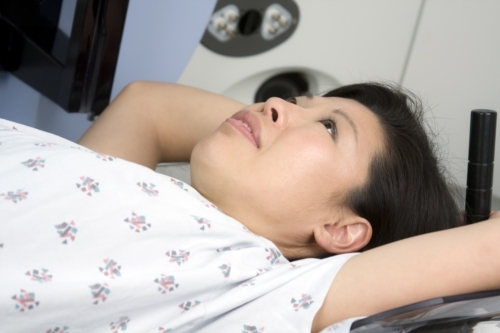 Whiteman, H., “Shorter course of high-dose radiation therapy better for breast cancer patients,” Medical News Today web site, August 10, 2015; http://www.medicalnewstoday.com/articles/297944.php.